I love pallets. I just can’t resist the free “good” wood! 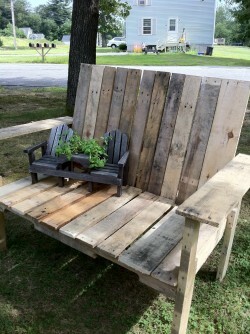 I thought I would share some garden furniture and building project ideas using pallets. Here’s a pallet planter from Todays Nest. 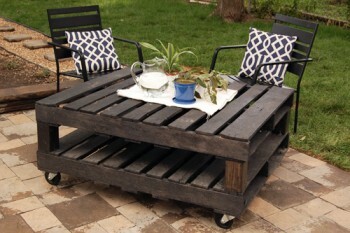 Isn’t this a cute pallet table? Here is a cute farm table that would be a wonderful potting bench from Ana White. Can’t you just see all your pots on the bottom shelf? You could even cut out a hole to put a sink or bucket to hold soil in the top! 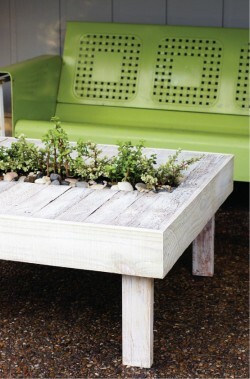 Here is a pallet coffeetable from Joy Ever After. 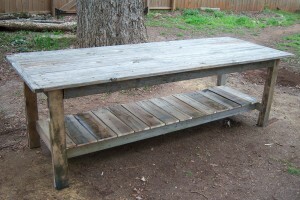 You could cut it down and make an outdoor end table too! Here is a pallet bench from Cherry Blossom Kind Of Life . Of course the ever faithful pallet compost bin. Here’s one from Instructables . 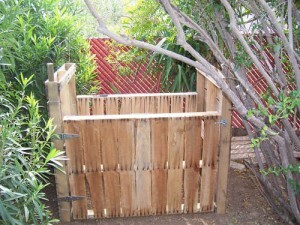 I don’t know how many compost bins I’ve made out of pallets but they sure work great and are my favorite compost bin! Where do you get these pallets for free? Who would give away perfectly good wood for free? For me I got several from the builders as they were putting up the houses. You can find them on craigslist now and just laying around sometimes. I just ask if I’m needing one and see it and 9 times out of 10 they give it me. Ok this may sound really dumb, but I’m a newbie. Anyway what is the compost bin and the purpose?